Stephen Sondheim’s Follies is revered in the theater community, and I think rightly so. It contains some of the best musical comedy songs ever written – funny and poignant, often at the same time. Thank goodness, then, that the new Broadway cast recording is beautifully recorded. 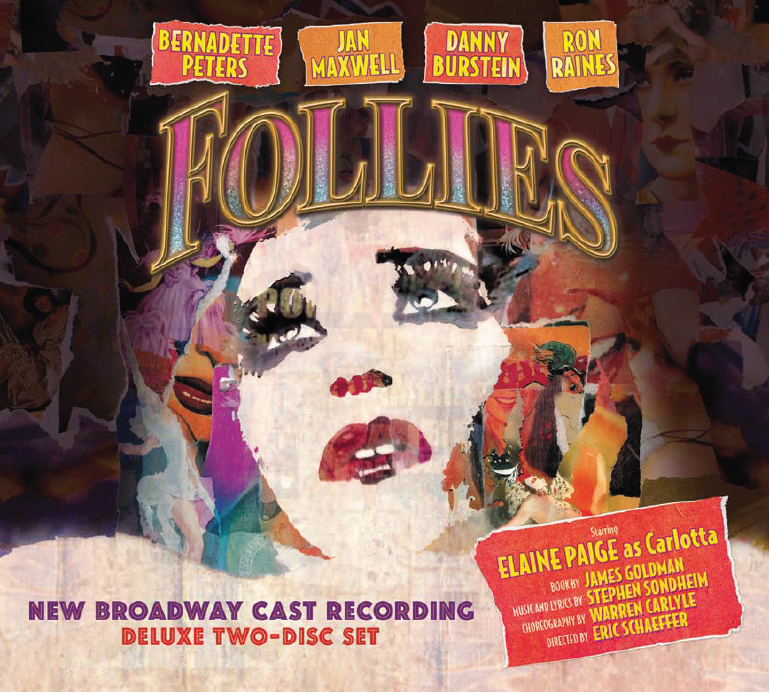 It’s also the fullest recording of the complete Follies score to date, including pieces of cross-over and incidental music, played by a 28-piece orchestra. Jayne Houdyshell is extraordinary singing “Broadway Baby”, giving that song a roaring, teary-eyed joy I don’t think I’ve ever heard in it before. And Elaine Paige tears “I’m Still Here” a new one, mining a profound rage that underlies that famous song’s bravado. A Follies recording that gets this much right is musical comedy heaven.